Do you struggle with unprofessional, messy installations? Do you have a need for a comprehensive security solution for your home, your business or your farm? Are you keen to improve your family or business security , but you’ve heard sad things about the industry? Then Relax Security is the right choice for you. Our 11 years in the industry , as a retailer, supplier to dealers as well as an expert installer , backed by our engineering qualifications, makes us the natural and wise choice to bring you the peace of mind you deserve. Ensure that your alarm panel, electric fence energizer and gate motor batteries are all in good condition. This will ensure that in the "likely" event of a power failure, these systems will continue to run unaffected. To do this, simply switch off the power to each of these systems, and monitor how long they continue to operate on their battery. 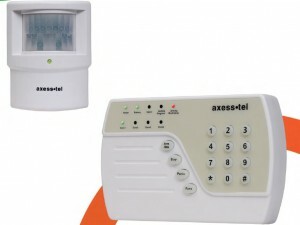 OR call out your local security company and request a test of these systems.